Baldev Singh, an Aam Aadmi Party (AAP) MLA from Jaito, resigned from the primary membership of the party on Wednesday. "I am pained to forward my resignation from the primary membership of AAP because the party has completely given up its basic ideology and principles," Baldev wrote in his letter to Delhi Chief Minister and AAP president Arvind Kejriwal. In his letter, Baldev cited Kejriwal's dictatorial, arrogant and autocratic style of functioning. 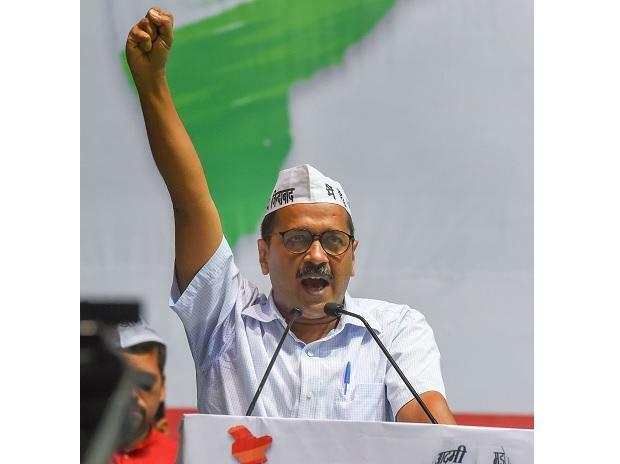 "As a result of your dictatorial, arrogant and autocratic style of functioning, pioneers of AAP like Prashant Bhushan, Yogender Yadav, Medha Patikar, Kiran Bedi, Dr. Gandhi, H.S.Khalsa, Sucha Singh Chottepur, Gurpreet Ghuggi, Ashish Khetan, Ashutosh, H.S.Phoolka etc. have all left the party or have been thrown out in a humiliating manner," he said. Baldev is believed to be a close aide of Punjab MLA Sukhpal Singh Khaira, who also resigned earlier this month from the primary membership of AAP. In a letter to Kejriwal, Khaira had said that the "party has totally deviated from the ideology and principles on which it was formed post-2012 anti-corruption movement." Baldev said that he was deeply shocked when the AAP chief "unceremoniously and undemocratically" removed an honest Sukhpal Singh Khaira from the post of as Leader of Opposition (LoP), without taking Punjab MLA's into confidence. He further said, "Your meek apology to the drug tainted former Minister Bikram Singh Majithia further revealed your double standards in politics. Your duplicity on the vital issue of Punjab river waters also puts you on the same pedestal of cunning leaders of India. You have blatantly gone back on the most important promise of Swaraj, by centralising all powers with yourself. You have also thrown to winds the constitution of the party merely to remain Convenor and continue your grip on the party." Singh said that Kejriwal's "hobnobbing and flirting with the Congress" is yet another example of sheer political opportunism, that has left the people of India bewildered.